Bringing new technology to old sciences always gives interesting results. This is also true when old maps and globes are examined by the newest achievments of computer technology. The papers presented at the recent workshop held in The Hague proved that this field still has things to be explored, developed or improved. If we needed to summarize the conference by a few keywords only, the following ones could be used: georeferencing, collaboration, virtual exhibitions, integration. Any digital approach to the geometrical accuracy of a map must be preceeded by a georeferencing process. A new tool for this task can be the online georeferencer presented by Petr Pridal. The idea (and also the tool) is great, especially when processing maps with no geographic grid nor projection information. There were other presentations showing practical use of this tool in pilot projects. Georeferencing map series requires other solutions. Rafael Roset presented a method of automatic recognition of grid lines and coordinates on map sheets. János Mészáros turned focus to the fact, that if we are not too lazy for some research, we can find the exact projection parameters and the bounding coordinates of those map sheets, even if this information was not printed to the maps. This way, we can use the corners of the sheets as control points, and therefore merge the adjoining georeferenced sheets together without overlaps and gaps. With the opportunities of Web 2.0 the overwhelming tasks of georeferencing, tagging, annotating all the maps of the world can be lightened a little bit by the means of collaborative web pages. 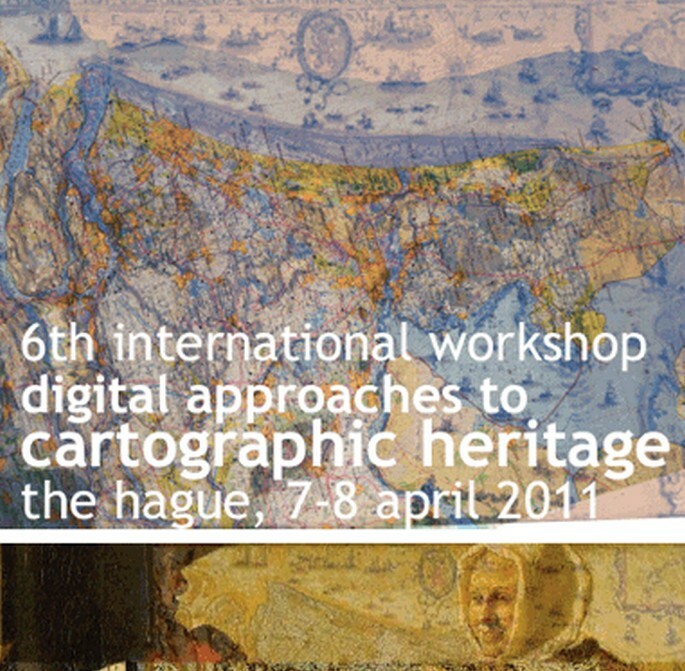 Many speaker presented projects on this field: Vasile Crăciunescu was speaking about the Romanian eHarta project which aimed to georeference the sheets of and old Romanian military map series; Charles van den Heuvel showed a project on linking maps and contextual documents. And again, we must mention the Georeferencer. Once we have digitized a set of old maps, we can organize “virtual exhibitions” where visitors can examine these object without risking the damage of the original ones. A very impressive example was shown in Dimitris Grammenos’ presentation, where augmented reality was used to give interactivity to even a piece of plain cardboard using it as a display. An other project, although using simpler tools, but brought not simple flat maps, but 3D models of old globes to the computer screen enabling the visitor to rotate or zoom them, or even open a globe to see its inner structure. Maybe this is the most crucial of all the mentioned keywords. Integrating geographic data of different types or from different sources, as Eric Grosso presented in his paper, or bringing separated services and technologies together (like embedding the features of MapAnalyst to the online Georeferencer). Many things are still to be done on this field, but it was good to see, how authors started to think about integrate solutions, methods or data presented by other participants to improve each others projects. Hopefully the enthusiasm that characterised this conference will result in many new, even more fascinating presentations of projects on the next workshop of this series in 2012. Author: GEDE Mátyás (Eötvös Loránd University)Bringing new technology to old sciences always gives interesting results. This is also true when old maps and globes are examined by the newest achievments of computer technology. The papers presented at the recent workshop held in The Hague proved that this field still has things to be explored, developed or improved. Hopefully the enthusiasm that characterised this conference will result in many new, even more fascinating presentations of projects on the next worshop of this series in 2012.